Robert Sabuda has created a resplendent pop-up version of The Wonderful Wizard of Oz to celebrate the 100th anniversary of the original publication. 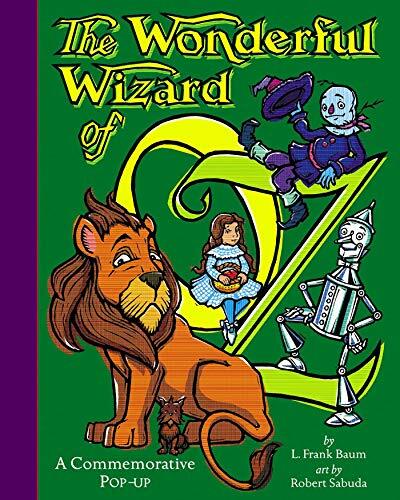 This glorious edition is told in a shorter version of L. Frank Baum's original text, with artwork in the style of W. W. Denslow. With sparkling touches of coloured foil and Emerald City eyeglasses, this classic tale is certain to find an honoured place on the family bookshelf. Robert Sabuda is one of the most innovative and inventive children's book creators and is known worldwide for his amazing pop-up paper engineering. His books include Alice's Adventures in Wonderland, The Wonderful Wizard of Oz, The Twelve Days of Christmas, The Night Before Christmas, The Winter's Tale, Peter Pan, Beauty and the Beast, to name but afew, have garnered numerous awards and have made the New York Times bestseller lists on many occasions. He lives in New York City.